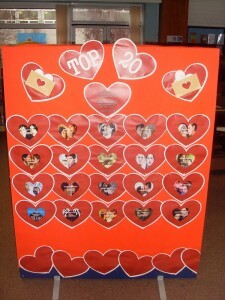 Who is getting ready for Valentine’s Day in their Library? Helen Burns of Perth High School is as you can see from the beautiful displays below. 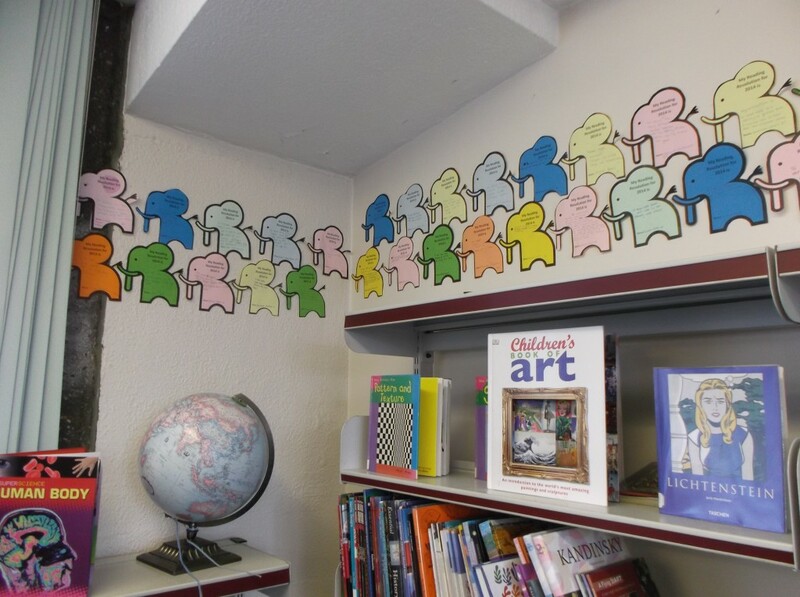 Helen says: “We bought heart-shaped stickers for pupils to vote for their favourite literary romantic couple, and in two days this section has become festooned in little, glittery hearts. Katniss & Peeta are winning hands-down for now. 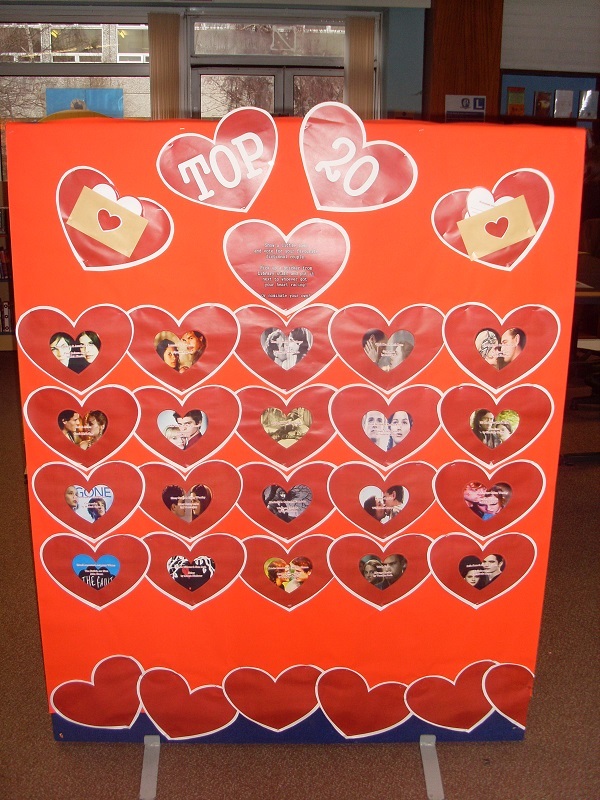 We have extra paper hearts for pupils to nominate their own fictional romantic couples – so far we have seven extra suggestions and a flurry of votes for others who clearly favour them over our own suggestions. 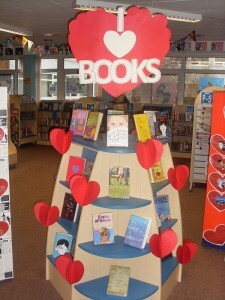 The books on display are about friendships as well as romantic love. The Lonely Hearts quiz is also going well, particularly as we are offering a goody bag for the first person to guess all 15 (or as many as possible if no-one gets them all). I was worried that this display might be considered too girly, but the boys are going for it every bit as much.” If you have a great Valentine’s Day display, why not share it with us on the Heart Facebook page – either directly or by sending the photos in to me to put up for you. 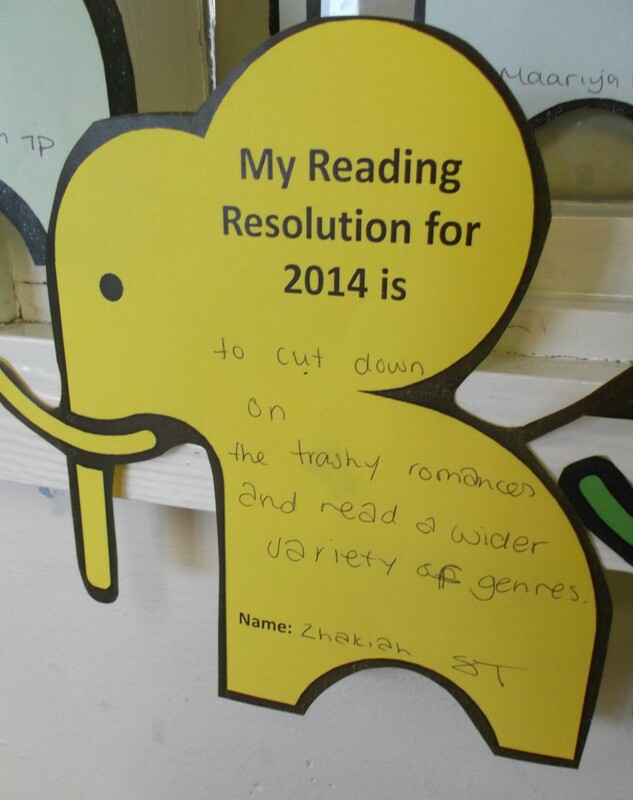 “To mark the beginning of the new year, students in Years 7 and 8 at Plashet School were encouraged to think about their individual reading habits and to make ‘reading resolutions’. These were written on paper elephants and displayed around the library to help students remember what it was they had committed to do in the coming year. 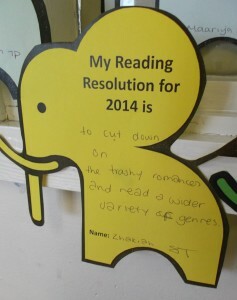 It was wonderful to see the girls really thinking about positive steps they could take to get more out of the experience of reading and it will be interesting to see how many have managed to keep their resolutions when we revisit them later in the year.” What a wonderful idea – who’s going to do this next year? Matt Imrie (@mattlibrarian) has been working on a way of explaining plagiarism in a contemporary way for students at his school to really understand the issues. This is his presentation, and I think he puts the issue over really well. Matt is happy for you to use and adapt his presentation for your own students. SLOTY Nominations for 2014 – get your nomination in!